If you are unfamiliar with the characteristics of wood, you may have difficulty understanding the concept of end grain, edge or face grain. Here are some explanations that will help you unravel the whole thing. The end-grain corresponds to the cross-section that shows the growth rings. This cut is perpendicular to the edge-grain. A cutting board or a kitchen island having and END grain construction makes the butcher block very strong and durable and will be more resistant to knives edge. When chopping, the end grain wood fibers absorb the impact of the knife blade. 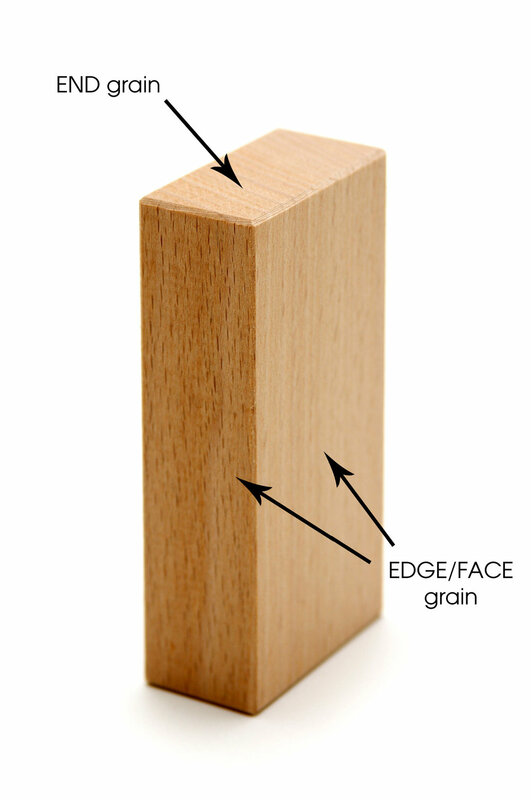 The edge-grain corresponds to the length of the fiber wood and is also perpendicular to the growth rings. This lets the veins show through. Its use as a kitchen surface offers the same protection against bacteria as end-grain construction. It's also a lot cheaper because it takes less time to manufacture. Its look can be changed by using the transition between heartwood and sapwood, offering unparalleled color and contrast.